In the past, internet reviews were a great way for customers and shoppers to quickly determine whether they wanted to shop at a particular store or business. Many people wanted to ensure their reviews were as positive as possible in order to ensure continued business, but many brands were able to scrape by without considering this element. In recent years, search engines have begun to notice the potential benefit that reviews can provide in the world of SEO. Not only do reviews affect how people see your business, but they are now beginning to affect how search engines see it, too. Below, we’ll discuss these points in a bit more detail and explain why reviews truly should matter to you in 2014 and beyond. Believe it or not, nine in ten people report that they use online reviews as a way to assess a business or brand before they make a purchase. While many of these individuals may be less than critical of each and every review, there is a segment of the population that is always pinging to Google about a product or service before they make a purchase – and heavily considers each negative response. Most people who carefully consider reviews will put more weight on a couple of bad ones than they will a dozen positive ones. When trading your hard-earned money for a product, don’t you want to believe you’re getting a good and satisfying deal? 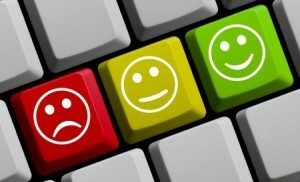 Online reviews are important pieces of reputation management, and while you cannot avoid the distribution of negative experiences, you can encourage your satisfied customers to leave comments about their positive ones. As years of reviews now have accumulated on the internet and a select few companies are clear industry leaders in the review game, search engines like Google are taking note. Not only do most search engines offer their own review and rating systems for various local places and products, but search engine algorithms are slowly being altered to incorporate an increased influence from other sites’ review findings. Sites such as Yelp and AngiesList should be monitored carefully and considered just like any other element of SEO. Positive reviews will be a cornerstone for online businesses in the future, as the feedback of users, shoppers and visitors becomes more powerful in the overall search engine game. If you have been in business online for a while and have knowledge of your presence on review sites, then you are probably aware of the fact that fake reviews can be a common occurrence. When you do not proactively engage your customer base in leaving reviews about your products and/or services, the inevitable attempts of competitors and trolls to libel you will no doubt have a greater effect. A brand with only a couple of reviews on a major site can be devastated with just one negative comment; a website with dozens of reviews can easily slide by without much damage being done. While there is no full-proof way to prevent pinging to Google and others in the form of bad reviews, you can minimize their effect on your standing with potential customers.